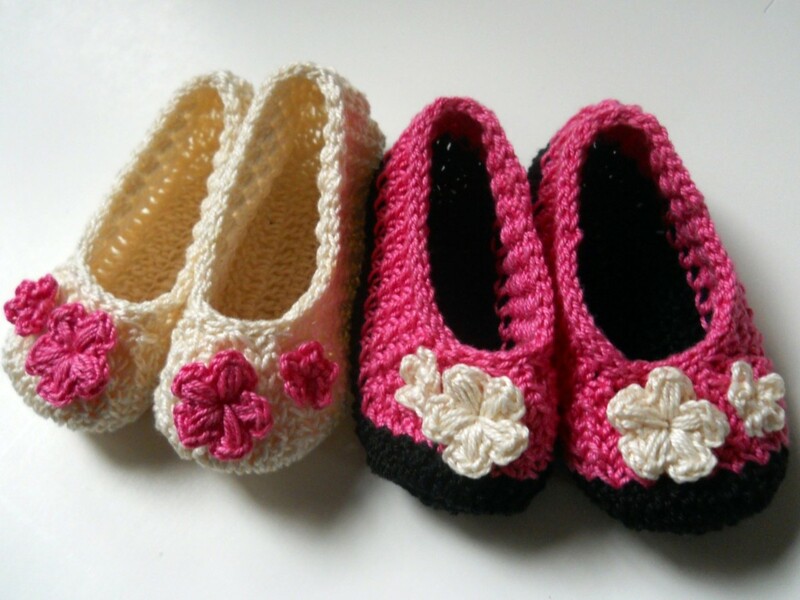 Moira has been crocheting since she was 14 years old. 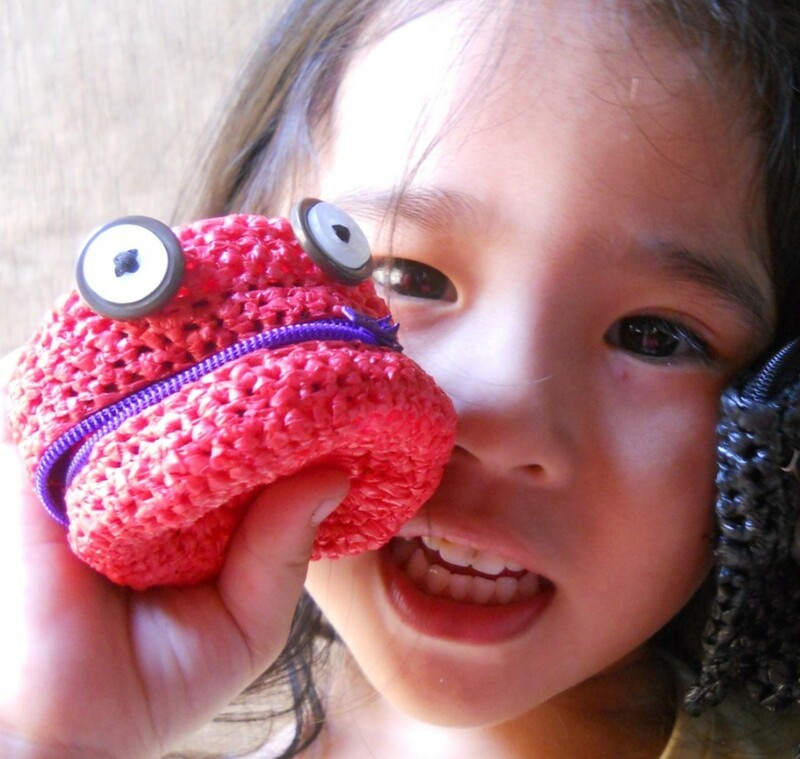 She loves experimenting with small crochet projects. Molih wants to say a lot of things but she knows its better to "zip" her mouth than make everything worse. 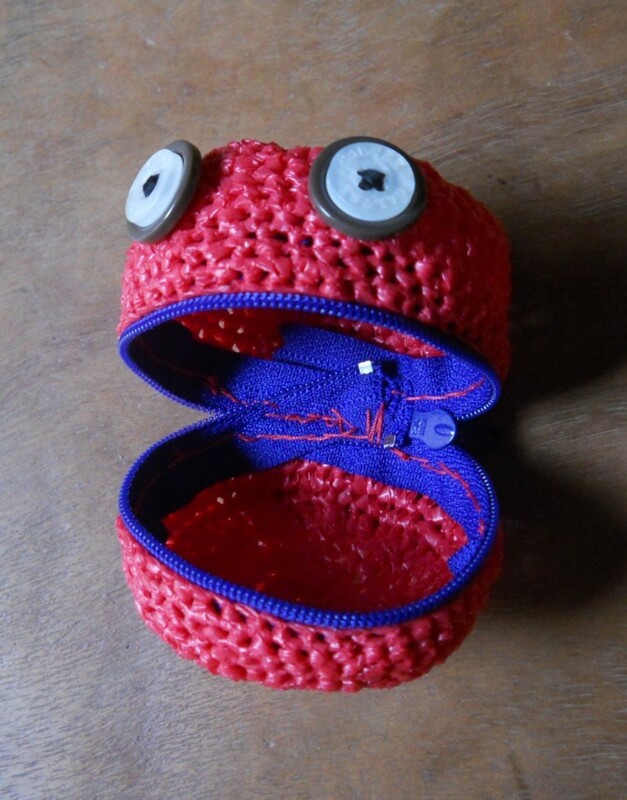 Today, I'm sharing an emoticon expressed in crochet. For me, Molih symbolizes how I am zipping my mouth right now despite the fact that my brain is oozing with many thoughts that need to be addressed. But if I talk, it might only get worse. Ugh! Aside from being a stress-buster, this project also marks my start in amigurumi and return to plarn. 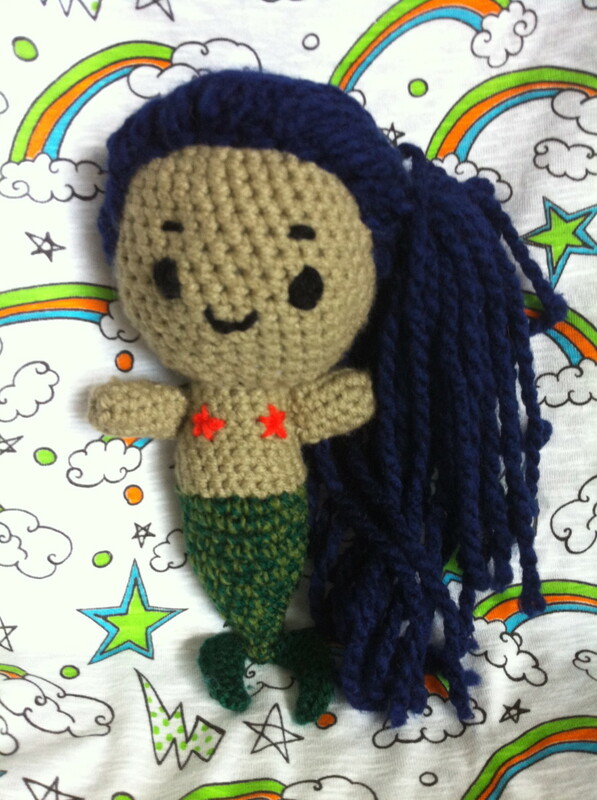 I spent a whole night making it and realized it's just right for making amigurumi. The colors of Molih are risky, as pink and violet are both strong colors. Normally, I would choose a safer combination, but this was just right for me today. My daughter Hofri loves Molih a lot. She's having a blast putting coins in and taking them out and putting them in and... you know what I'm talking about... right? 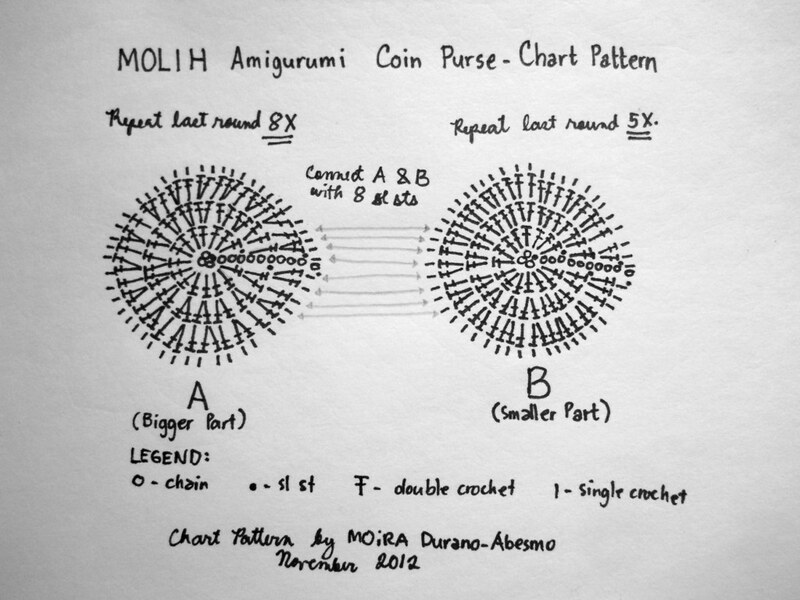 Molih consists of 2 parts (A and B) which are joined together. Foundation Ring: Ch 3, sl st to form ring, ch 3, TURN. Round 1: 15 dc in ring, sl st to the top of turning ch, ch 3, TURN. Round 2: Dc on top of turning ch, 2 dc on each dc, sl st to the top of turning ch, ch 3, TURN. Round 3: (2 dc in next dc, dc in next dc) 15x, 2 dc on the last dc, sl st to the top of turning ch, ch 1, DO NOT turn. Round 4 - 11: sc in each dc, sl st to 1st sc, ch 1, DO NOT turn. 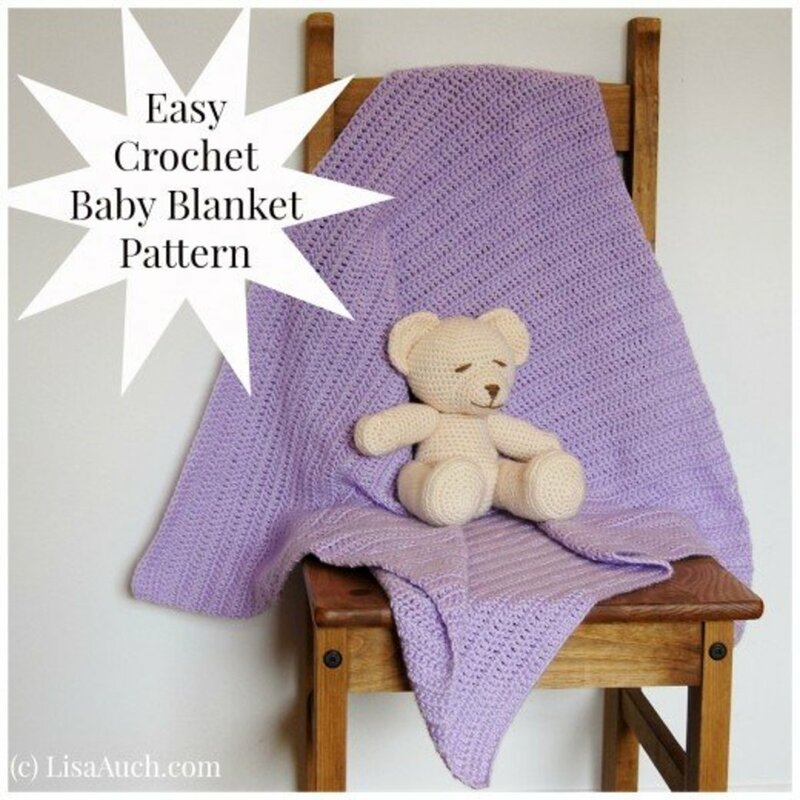 Break off and weave in ends. Same as Part A from Foundation Ring to Round 8. Join Part A and B with 8 sl sts. 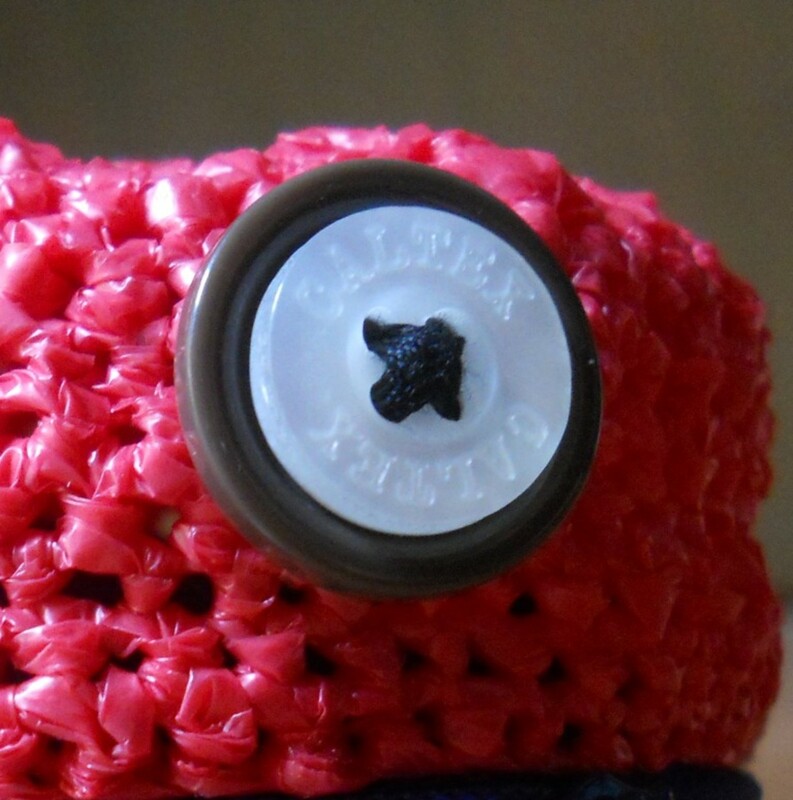 The upper part, where the button eyes are sewed is PART A while the bottom is PART B. They are joined together with 8 sl sts. The secret to applying zippers is the art of pinning them properly before sewing. For this pattern, the zipper is an important part of the design. 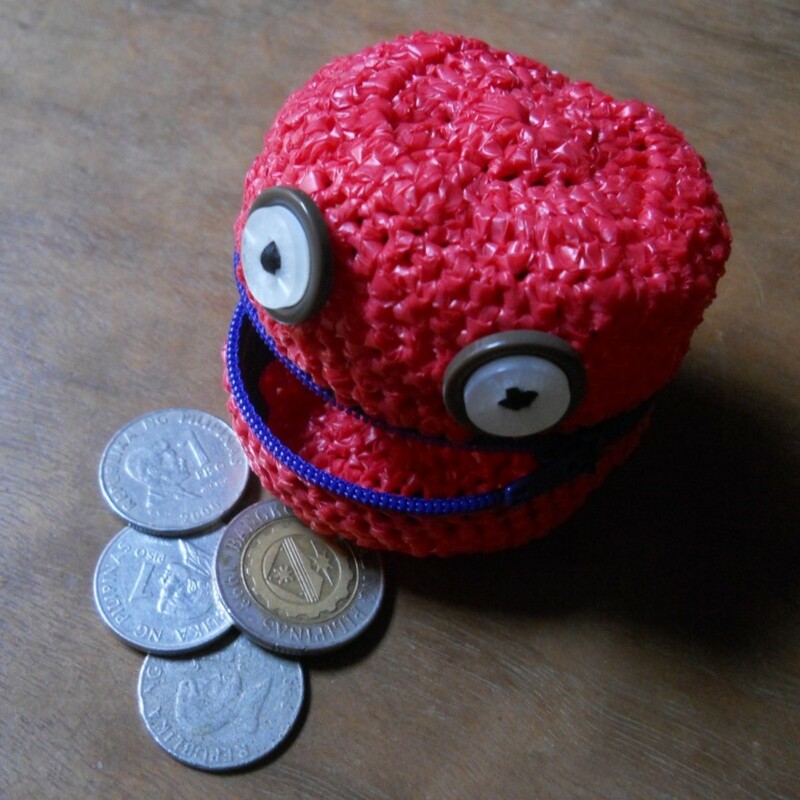 Aside from serving as the opening of the coin purse, it also serves as the mouth of Molih. 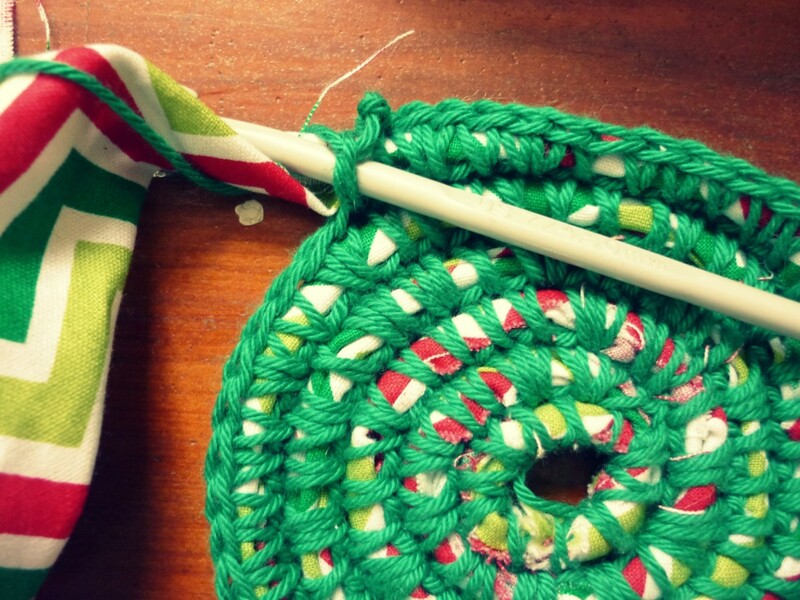 Applying a zipper to a crocheted piece seem like a scary thing, but you just have to give it a try to know that its not so scary after all. The photo tutorial made by Carrie Wolf is a great start. Molih's eyes consists of two buttons sewed together. The button eyes I used for Molih were taken from old t-shirts. Each eye consists of a big brown button and a small white button. I used a black thread to give Molih's eyes more life. Thank you, followthestray! I love the simplicity and beauty of MOLIH. This is awesome! I'm definitely going to use this idea in future projects. Amazing! Voted up and pinned! 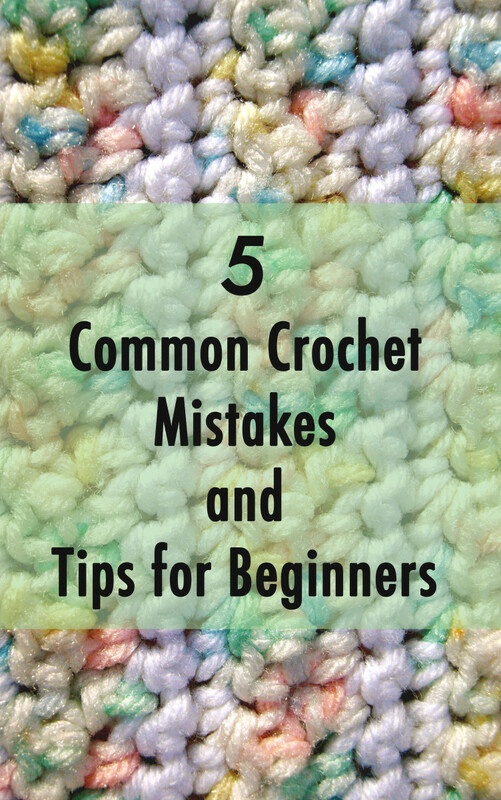 I'm very honored that Molih made up your mind to learn the beautiful craft of crocheting. Have fun hooking and don't give up! This one is even cuter! 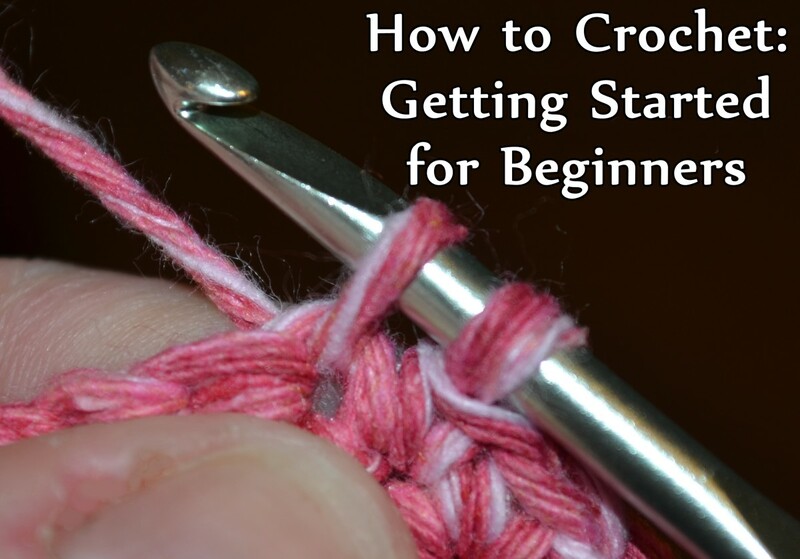 It's official - I really do need to learn crocheting. I'm glad you think so Lori! That is SO funny - if I could crochet I'd do it. I like your creativity. Hi Patrice! 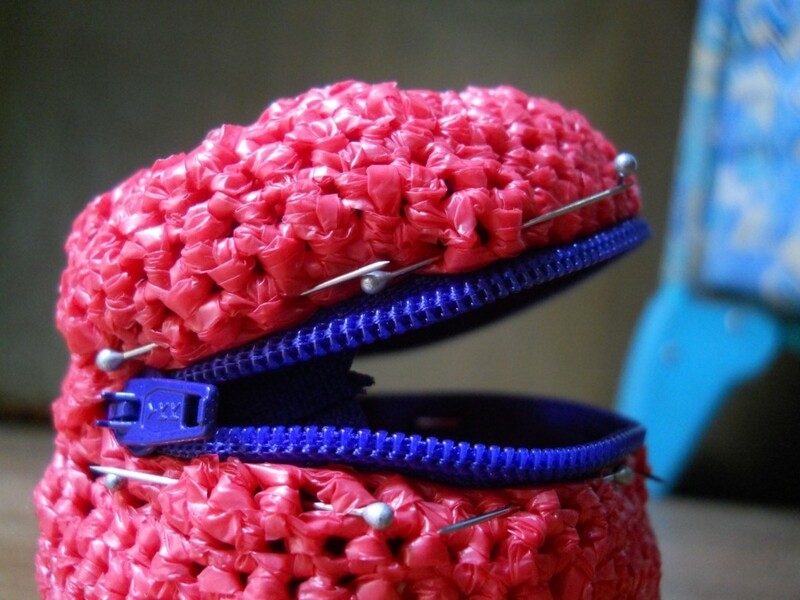 Yes, you should try zippers. There's so much you can do with it. Hello Toffemerry! Yup, it's a great alternative when you're short on cash and they're so free. Stores here in PH just give them away. Thanks Sirdar! 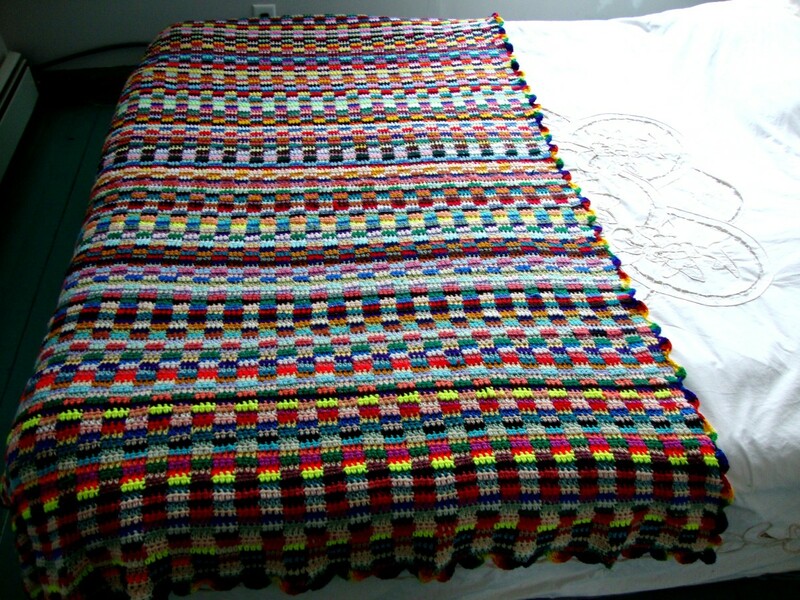 I make plarn using the single-strand method. I work with small to medium sized plastic bags and they're thin and not as stiff as the large ones. 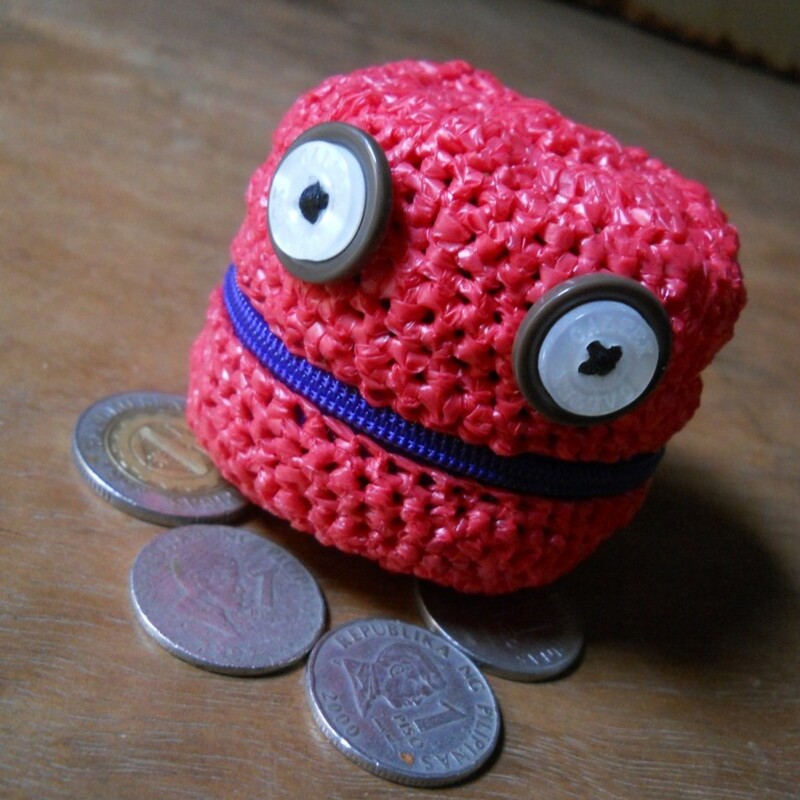 Oh, what a cute coin purse for a little one! 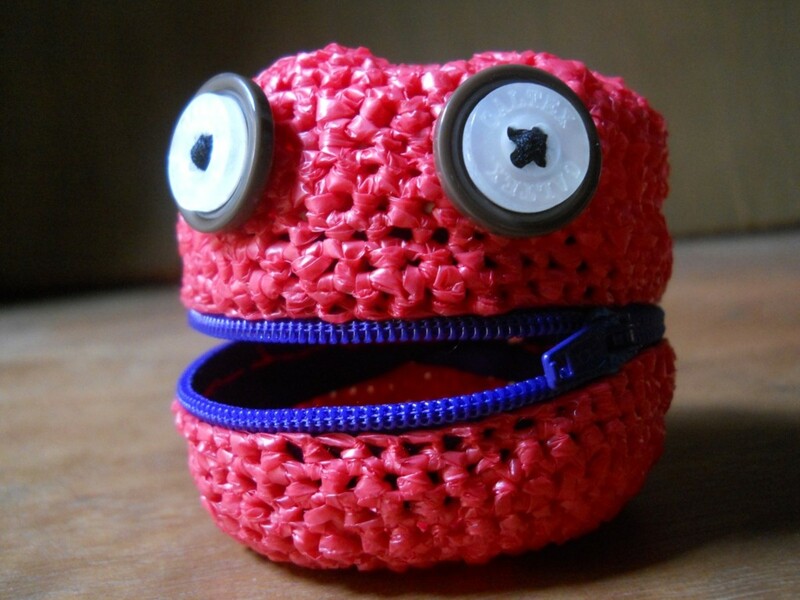 I am really going to try to put a zipper in the next purse I crochet. You make it look so easy. Voted up and shared. How do you make the plarn? It must be very thin to use such a thin hook?